March 6, 2019 Donation made by Andrew and Laurie Weber in memory of their father Bernard Weber. February 11, 2019 Donation from Donna Reynolds in loving memory of her father, Harry M. Hauptman. December 30, 2018 A donation in honor or Rabbi Alvin Kass from Joan Greenberg and Philip Klein. The Rehabilitation Department at Sands Point Center for Health and Rehab. July 19, 2018 Donation made by Marilyn Growe In Memory of Marilyn Borkin F.
July 19, 2018 Donation by the Kaufman Family in memory of Herman Weinstein. June 22, 2018 A donation has been made by Bradley Comp memory of Herman Weinstein, the beloved father of David Weinstein. June 8, 2018 Donation made by Rabbi Eli B. Perlman In honor of the unselfish and dedicated work of the members of the NYPD. June 3, 2018 Donation by Barbara Garber in loving memory of Herman Weinstein beloved father to Mark, Pam, David & Lisa and their families and uncle to Judie, Barbara & Maureen. May 30, 2018 Donation by Adam Fried in memory of Herman Weinstein, the beloved father of David Weinstein and siblings. December 22, 2017 Donation from Laura Merkin. Daughter of Solomon Paul Merkin In loving memory of her father NYPD. February 12, 2017 Donation made in memory of Officer Justin Gelband's dear mother, Susan Gelband by Uncle Mark, Aunt Dena and cousins. December 14, 2016 Donation made by Melissa Spiesman in honor of Matthew Kanovsky 2016 Scholarship awardee. May 26, 2016 Donation made by Susan Heifetz on the Yatzeit of her Mother Molly Heifetz. December 31, 2015 Donation made by Dr. Elliot M. Gross in memory of his father NYPD Surgeon Dr. Samuel Gross. March 10, 2015 Donation in memory of Rabbi Sable and in honor of Rabbi Kass. February 14, 2015 Dedication in memory of Susan Gelband mother of Justin Gelband by Uncle Mark, Aunt Dena and cousins. February 10, 2015 A donation has been made by Mindy and Steve Kober and Family in memory of Israel Greenberg. January 1, 2015 Dave Bicofsky in memory of Det's Wenjian Liu and Rafael Ramos and in honor of all the members of the Shomrim Society who put their lives on the line for us everyday. January 1, 2015 Brian Roberts in honor of his Grandfather Archie Sayles. August 1, 2014 A donation was made by Laurin Blumenthal Kleiman in memory of Carl Kaplowitz. March 31, 2014 A donation was made by Dr. Joshua Lamm in honor of Mr. Harvey Fuchs. February 10, 2014 A donation was made by Dena and Mark Gelbend to commemorate the anniversary of the passing of the beloved mother of Justin Gelband. February 14, 2013 In memory of Anita Weiser, loving wife to Louis, mother to Chicky and Boom Boom, and grandma to Jason, Jeff, Marc and Marisa. Love, the Fishbein/Schatten Family. October 12, 2011 Donation made by Elisa Milkes, in memory of her Father Stanley Marmer. April 28, 2011 Donation made by Larry Sarf In honor of Edwin and Anne Sarf. February 9, 2011 Donation made by Larry Sarf in Memory of Edwin Sarf. April 5, 2010 Donation by Lela R. Katzman in memory of Joseph Herman. 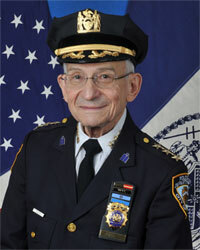 March 24, 2010 David Herman in honor of my father, Joseph Herman NYPD 1954-1976. Passed away on 3/13/10. July 5, 2008 Donation by Karen Figueroa and family, in memory of Mr. Irving Kreppel. A dear father to my dear friend, Lillian R. Kreppel. February 20, 2008 Donation by Veronica Sum, in memory of Irving Kreppel, with sympathy to my dear friend, Lillian Kreppel and the rest of her family. February 18, 2008 Donation by Leslie Goldman in memory of Irving Kreppel, with sympathy to Lillian and the rest of the Kreppel family. February 13, 2008 Donation in memory of Irving Kreppel, by Cindy and Jeff Harlib, with deepest sympathy to his wonderful daughter Lillian and her Family. February 12, 2008 Donation by Marci Kahan, in memory of life member Bro. Irving Kreppel. February 12, 2008 Donation by Irving Dobbs and his daughter, Robin Rosenthal, in memory of Irving Kreppel, with sympathy to Alexis, Jerome and the rest of the Kreppel family. February 12, 2008 Donation by Debbie & Steven Lipman, in memory of life member Bro. Irving Kreppel. February 12, 2008 Donation by Beth Bonham, in memory of life member Bro. Irving Kreppel. February 10, 2008 Donation by Lois Echols, in memory of life member Bro. Irving Kreppel. February 8, 2008 Donation by Tracy Morrissey, in memory of life member Bro. Irving Kreppel, with deepest sympathy to his daughter Lillian Kreppel and her Family. February 8, 2008 Donation in Memory of Life Member Bro. Irving Kreppel, with our sympathy, Stacy and Scott Goldberg. February 7, 2008 Donation in memory of life member Brother Irving Kreppel, by Detsy Urra, with deepest sympathy to his daughter Alexis Smith and her Family. February 7, 2008 Donation in memory of life member Brother Irving Kreppel, by Mr. Brett Pasher, friend of his wonderful daughter Lillian. February 7, 2008 Donation in memory of life member Brother Irving Kreppel, by Mr. Brandon Remler. August 15, 2007 Donation by Robert A. Mallow, In Memory of Mr. Robert Cesana, my deceased dear friend (an Italian Jew originally from Milan) who died suddenly on June 8, 2007 at age 66 in San Remo Italy. June 7, 2007 Donation by grandchildren Jeffrey and Eric Diamant and their wives Stephanie and Lauren, on behalf of Robert Diamant, in recognition of Father's Day, in loving memory of Grandpa Frank Diamant, former NYPD Shomrim Society President who would have celebrated his 100th birthday this year. January 8, 2007 Donation by The Social Studies and Business Office at Fox Lane High School in Bedford, New York in memory of Life Member Bro. Larry Karlin. 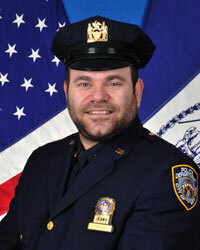 April 18, 2006 Donation to the NYPD Shomrim Society Scholarship Fund in blessed memory of Albert Borkin has been made by Ann & Howard Radow. For cemetery and burial concerns please contact cemetery@nypdshomrim.org.